'Free competition enforced by law' is a grotesque contradiction in terms. Ayn Rand (2 February 1905 – 6 March 1982) was a Russian-born American novelist, philosopher, playwright, and screenwriter. She is known for her bestselling novels, The Fountainhead and Atlas Shrugged, and for developing a philosophical system called Objectivism. I would give the greatest sunset in the world for one sight of New York's skyline. The shapes and the thought that made them. The sky over New York and the will of man made visible. What other religion do we need? Is it beauty and genius they want to see? Do they seek a sense of the sublime? 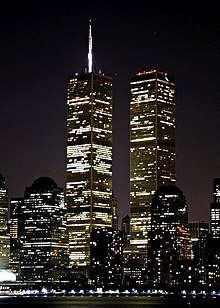 Let them come to New York, stand on the shore of the Hudson, look and kneel. When I see the city from my window? No, I don't feel how small I am. But, I feel that if a war came to threaten this? I would like to throw myself into space, over the city, and protect these buildings with my body. Letter to H.L. Mencken July 28, 1934. An individualist is a man who says: "I'll not run anyone's life – nor let anyone run mine. I will not rule nor be ruled. I will not be a master nor a slave. I will not sacrifice myself to anyone – nor sacrifice anyone to myself." Introducing Objectivism. The Objectivist Newsletter, Vol. 1, No. 8. August, 1962. p. 35. Objectivism is a philosophical movement; since politics is a branch of philosophy, Objectivism advocates certain political principles — specifically, those of laissez-faire capitalism — as the consequence and the ultimate practical application of its fundamental philosophical principles. It does not regard politics as a separate or primary goal, that is: as a goal that can be achieved without a wider ideological context. . . . Objectivists are not "conservatives." We are radicals for capitalism; we are fighting for that philosophical base which capitalism did not have and without which it was doomed to perish. There is no difference between communism and socialism, except in the means of achieving the same ultimate end: communism proposes to enslave men by force, socialism—by vote. It is merely the difference between murder and suicide. The Arabs are one of the least developed cultures. They are typically nomads. Their culture is primitive, and they resent Israel because it's the sole beachhead of modern science and civilization on their continent. When you have civilized men fighting savages, you support the civilized men, no matter who they are." They (Native Americans) didn't have any rights to the land, and there was no reason for anyone to grant them rights which they had not conceived and were not using. What was it that they were fighting for, when they opposed white men on this continent? For their wish to continue a primitive existence, their 'right' to keep part of the earth untouched, unused and not even as property, but just keep everybody out so that you will live practically like an animal, or a few caves above it. Any white person who brings the element of civilization has the right to take over this continent. Do you know that my personal crusade in life (in the philosophical sense) is not merely to fight collectivism, nor to fight altruism? These are only consequences, effects, not causes. I am out after the real cause, the real root of evil on earth — the irrational. If you mean whose side one should be on, Israel or the Arabs, I would certainly say Israel because it’s the advanced, technological, civilized country amidst a group of almost totally primitive savages who have not changed for years and who are racist and who resent Israel because it’s bringing industry, intelligence, and modern technology into their stagnation. Do you believe in God, Andrei? No. Neither do I. But that's a favorite question of mine. An upside-down question, you know. What do you mean? Well, if I asked people whether they believed in life, they'd never understand what I meant. It's a bad question. It can mean so much that it really means nothing. So I ask them if they believe in God. And if they say they do—then, I know they don't believe in life. Why? Because, you see, God—whatever anyone chooses to call God—is one's highest conception of the highest possible. And whoever places his highest conception above his own possibility thinks very little of himself and his life. It's a rare gift, you know, to feel reverence for your own life and to want the best, the greatest, the highest possible, here, now, for your very own. To imagine a heaven and then not to dream of it, but to demand it. A moment or an eternity—did it matter? Life, undefeated, existed and could exist. She smiled, her last smile, to so much that had been possible. It is not good to feel too much joy, nor to be glad that our body lives. For we matter not and it must not matter to us whether we live or die, which is to be as our brothers will it. But we, Equality 7-2521, are glad to be living. If this is a vice, then we wish no virtue. No single one can possess greater wisdom than the many scholars who are elected by all the men for their wisdom. Yet we can. We do. We have fought against saying it, but now it is said. We do not care. We forget all men, all laws and all things save our metals and our wires. So much is still to be learned! So long a road lies before us, and what care we if we must travel it alone! Let anyone who believes that a high standard of living is the achievement of labor unions and government controls ask himself the following question: If one had a "time machine" and transported the united labor chieftains of America, plus three million government bureaucrats, back to the tenth century—would they be able to provide the medieval serf with electric light, refrigerators, automobiles, and television sets? It took centuries of intellectual, philosophical development to achieve political freedom. It was a long struggle, stretching from Aristotle to John Locke to the Founding Fathers. The system they established was not based on unlimited majority rule, but on its opposite: on individual rights, which were not to be alienated by majority vote or minority plotting. The individual was not left at the mercy of his neighbors or his leaders: the Constitutional system of checks and balances was scientifically devised to protect him from both. This was the great American achievement—and if concern for the actual welfare of other nations were our present leaders' motive, this is what we should have been teaching the world. Sometimes paraphrased as "You can ignore reality, but you cannot ignore the consequences of ignoring reality." ...It is man's reason that lifts him to the stars. 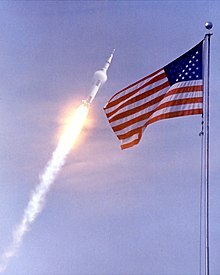 [On the attendees at the launch of Apollo 11] Those people were not a stampeding herd, nor a manipulated mob; they did not wreck the Florida communities, they did not devastate the countryside, they did not throw themselves, like whining thugs, at the mercy of their victims - they did not create any victims. They came as responsible individuals able to project the reality of two or three days ahead, and to provide for their own needs. There were people of every age, creed, color, educational level and economic status. They lived and slept in tents, or in their cars, some for several days, in great discomfort and unbearable heat; they did it gamely, cheerfully, gaily; they projected a general feeling of confident goodwill, the bond of a common enthusiasm; they created a public spectacle of responsible privacy - and they departed as they had come, without benefit of press agents. One of the paradoxes of our age is the fact that the intellectuals, the politicians, and all the sundry voices that choke like asthma the throat of our communications media, have never gasped and stuttered so loudly about their devotion to the public good, and about the people's will as the supreme criterion of value - and never have they been so grossly indifferent to the people. The reason, obviously, is that collectivist slogans serve as the rationalization for those who intend, not to follow the people, but to rule them. And this is the whole shabby secret: to some men, the sight of an achievement is a reproach, a reminder that their own lives are irrational, and that there is no loophole - no escape from reason and reality. Their resentment is the cornered Dionysian element baring its teeth. [The hippies] were told that love - indiscriminate love for one's fellow man - is the highest virtue, and they obeyed. They were told that the merging of one's self with a herd, tribe, or community is the noblest way for a man to live, and they obeyed. There isn't a philosophical idea of today's establishment which they have not accepted, which they do not share. When they discovered this philosophy did not work, because in fact it cannot work, the hippies had neither the wit nor the courage to challenge it. They found, instead, an outlet for their impotent frustration by accusing their elders of hypocrisy, as if hypocrisy were the only obstacle to the realization of their dreams. And, left blindly, helplessly lobotomized in the face of an inexplicable reality that is not amenable to their feelings, they have no recourse but the shouting of obscenities at anything that frustrates their whims; at man, or at the rainy sky, indiscriminately, with no concept of the difference. It is typical of today's culture that the proponents of seething, raging hostility are taken as advocates of love. There is a kind of malicious wink, a contemptuous sneer in the public voices claiming the hippies as heroes. The hippies are a desperate herd looking for a master, to be taken over by anyone - anyone who would tell them how to live without demanding the effort of thinking. Theirs is the mentality ready for a fuhrer. The hippies are the living demonstration of what it means to give up reason, and to rely on one's primeval instincts, urges, intuitions, and whims. With such tools, they are unable to grasp even what is needed to satisfy their wishes; for example, the wish to have a festival. Where would they be without the charity of the local "squares" who fed them? Where would they be without the fifty doctors rushed from New York to save their lives? Without the automobiles that brought them to the festival? Without the soda pop and beer they substituted for water? Without the helicopters that brought the entertainers? Without all the achievements of the technological civilization they denounce? Left to their own devices, they literally didn't know enough to come in out of the rain. It is fear that drives [the hippies] to seek the warmth, the protection, the safety of a herd. When they speak of merging themselves into a "greater whole," it is their fear that they hope to drown in the undemanding waves of unfastidious human bodies - and what they hope to fish out of that pool is the momentary illusion of an unearned personal significance. You have all heard the old bromide to the effect that man has his eyes on the stars and his feet in the mud. It is usually taken to mean that man's reason and his physical senses are the element pulling him down to the mud while his mystical, super-rational emotions are the element that lifts him to the stars. This is the grimmest inversion of many in mankind's history. But, last summer, reality offered you a literal dramatization of the truth. It is man's irrational emotions that bring him down to the mud. It is man's reason that lifts him to the stars. Art is a selective re-creation of reality according to an artist's individual value-judgments. An artist reveals his naked soul in his work - and so, gentle reader, do you when you respond to it. Art is man’s metaphysical mirror; what a rational man seeks to see in that mirror is a salute; what an irrational man seeks to see is a justification – even if only a justification of his depravity, as a last convulsion of his betrayed self-esteem. Today, racism is regarded as a crime if practiced by a majority—but as an inalienable right if practiced by a minority. The secret dread of modern intellectuals, liberals and conservatives alike, the unadmitted terror at the root of their anxiety, which all of their current irrationalities are intended to stave off and to disguise, is the unstated knowledge that Soviet Russia is the full, actual, literal, consistent embodiment of the morality of altruism, that Stalin did not corrupt a noble ideal, that this is the only way altruism has to be or can ever be practiced. It is difficult to accord an important place to Ayn Rand either as a novelist or as a thinker. And yet there is something appealing, even a touch of grandeur, about the figure who emerges from Ms. Branden's somewhat tortured account: the young woman who arrives in America clutching her Remington Rand typewriter (she took her name from it); who not only renames herself but proceeds to remake herself in the shape of her passionately held ideals; the hero-worshiper who invented improbably heroic figures in her novels and who convinced very ordinary people that they too could be heroes; the mature and successful figure who always refused compromise, no matter what the cost, and who faced bitter personal disappointment and pain with an unbending courage. One can understand why this individual, whatever her intellectual and personal foibles, could command loyalty and inspire commitment. Although the Objectivist movement clearly had many of the trappings of a cult - the aggrandizement of the person of Ayn Rand, the too ready acceptance of her personal opinions on a host of subjects, the incessant moralizing - it is nevertheless significant that the fundamental attraction of Objectivism... was the precise opposite of religious worship. Barbara Branden, The Passion of Ayn Rand (p. 371), quoted by Shermer in ‘The Unlikeliest Cult in History’ (1993). David Brin, Liberty magazine, September 2000. Her novel Atlas Shrugged... a thousand pages of ideological fabulism. I had to flog myself to read it. You can piss away valuable hours of your life reading Ayn Rand—her wretched appeal to the young, her wretched writing, her wretched person. I loved Ayn Rand when I was 18 — before I had children and figured out how the world really works. That’s not how it works, as it turns out. A passionate hater of religion, Rand founded a cult around her own person, complete with rituals of excommunication; a passionate believer in rationality and logic, she was incapable of seeing the contradictions in her own work. She was a rationalist who was not entirely rational; she could not distinguish between rationalism and rationality. Of narrow aesthetic sympathies, she laid down the law in matters of artistic judgment like a panjandrum; a believer in honesty, she was adept at self-deception and special pleading. I have rarely read a biography of a writer I should have cared so little to meet. Rand was broken by the Bolsheviks as a girl, and she never left their bootprint behind. She believed her philosophy was Bolshevism's opposite, when in reality it was its twin. Both she and the Soviets insisted a small revolutionary elite in possession of absolute rationality must seize power and impose its vision on a malleable, imbecilic mass. The only difference was that Lenin thought the parasites to be stomped on were the rich, while Rand thought they were the poor. Objectivism—a view that makes a religious fetish of selfishness and disposes of altruism and compassion as character flaws. If nothing else, this approach to ethics was a triumph of marketing, as Objectivism is basically autism rebranded. And Rand's attempt to make literature out of this awful philosophy produced some commensurately terrible writing. Rand has not often had a positive reception from the ethics community for a number of reasons. The major one is that she championed self‐interest loudly and forcefully. For an ethics community committed to the view that morality means restraining and sacrificing self interest this could mean only one thing: She must be urging the strong to do whatever they feel like to the weak. That view, given the long history of ethics, could simply be rejected out of hand. But such a rejection evaluates Rand’s advocacy of self‐interest from within a set of premises about economics and human nature that she rejects. She rejects the belief that ethics starts by taking conflicts of interest as fundamental. She rejects the view that ethics starts by reacting to scarce resources; she rejects the view that ethics starts by reacting to the nasty things some people want to do to each other; and she rejects the view that ethics starts by asking what to do about the poor and unable. I care very much about literature as the place where the real ethical dilemmas are met, so to have novels as transcendently awful as Atlas Shrugged and The Fountainhead sort of undermines my project. And though I have some respect for The Virtue of Selfishness, her collection of essays... I don't think there's any need to have essays advocating selfishness among human beings. There have even been outright bad writers blessed by the visitation of a poetic title. Ayn Rand had one with The Fountainhead, and another with Atlas Shrugged: a bit of a mouthful, but nobody has ever spat it out without first being fascinated with what it felt like to chew. Yet if those were not two of the worst books ever written - the worst books ever written don't even get published - they were certainly among the worst books ever to be taken seriously. I have read some of Rand’s essays on art and philosophy. They struck me, as I said in a review of a book about her philosophy of art (reprinted in my book Art’s Prospect), as pretty thin gruel. I never made it through either of Rand’s two big novels, The Fountainhead and Atlas Shrugged. To enjoy either, I suspect, you had to have encountered Rand in adolescence, when so many of life’s lasting enthusiasms are forged. In recent years, a few friends have urged Rand on me, and I dutifully tried both novels more than once. Each time, I found myself oscillating between fits of the giggles, at the awful prose, and irritation, at the jejune philosophy. [F]rom the initial outline Ayn Rand provided, a very rich and powerful philosophy emerges – e.g., it solves such problems as science versus free will and moral responsibility, knowledge versus the fact of fallibility. Merely because Rand’s ideas were not born in academe or developed in full detail by her, it cannot be concluded that they are unsound. Tibor Machan, New York Times letter to the editor, August 3, 1986. Rand's guiding vision is clearly what used to be called infantile omnipotence – the childish hope of total control – and her doctrines have great influence because that hope is still always strong in the depths of our hearts. The fear that haunts her is the fear of having to obey someone else. This fear, intelligently disciplined, does indeed lie at the root of our emphasis on liberty, but there is nothing to be said for erecting it on its own into a "heroic" stance of self-admiration. I have to say I found Ayn Rand’s philosophy laughable. It was "a white supremacist dreams of the master race," burnt in an early-20th century form. Her ideas didn’t really appeal to me, but they seemed to be the kind of ideas that people would espouse, people who might secretly believe themselves to be part of the elite, and not part of the excluded majority. Rand tended to believe that questions of fact could be determined by the manipulation of vague terms. This tendency is most clearly illustrated in her so-called "metaphysical" theory of reality, in which she tries to demonstrate the objectivity of reality and validate causality on the basis of cognitively empty tautologies such as "existence exists" and "A is A." Grey Nyquist, Ayn Rand Contra Human Nature, iUniverse, 2001. Ayn Rand is one of those things that a lot of us, when we were 17 or 18 and feeling misunderstood, we'd pick up. Then, as we get older, we realize that a world in which we're only thinking about ourselves and not thinking about anybody else, in which we're considering the entire project of developing ourselves as more important than our relationships to other people and making sure that everybody else has opportunity – that that's a pretty narrow vision. The fiction of Ayn Rand is as low as you can get re fiction. I hope you picked it up off the floor of the subway and threw it in the nearest garbage pail. But all of Rand's heroic capitalists triumph in industries that are now dead or bleeding. It's easy to write potboilers that posit sharp moral distinctions between the makers and takers when you live in a big-shouldered factory world where people still make things. 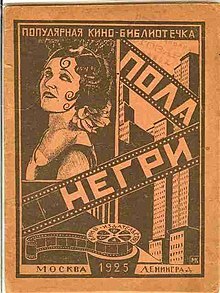 St. Petersburg in revolt gave us Vladimir Nabokov, Isaiah Berlin and Ayn Rand. The first was a novelist, the second a philosopher. The third was neither but thought she was both. Many other people have thought so too. Wit and humor, as might be gathered from this incident, were verboten in the Randian movement. The philosophical rationale was that humor demonstrates that one "is not serious about one’s values." The actual reason, of course, is that no cult can withstand the piercing and sobering effect, the sane perspective, provided by humor. One was permitted to sneer at one’s enemies, but that was the only humor allowed, if humor that be. We conclude our analysis of the Rand cult with the observation that here was an extreme example of contradiction between the exoteric and the esoteric creed. That in the name of individuality, reason, and liberty, the Rand cult in effect preached something totally different. The Rand cult was concerned not with every man’s individuality, but only with Rand’s individuality, not with everyone’s right reason but only with Rand’s reason. The only individuality that flowered to the extent of blotting out all others, was Ayn Rand’s herself; everyone else was to become a cipher subject to Rand’s mind and will. Many of the battles she engaged in rage on today. There are still debates about the free market, movements lobbying for collectivism and state power, and confrontations between doctrines of self-reliance and doctrines of self-sacrifice. But the world Rand actually wanted her heroes to build now seems far from revolutionary; it can even seem somewhat quaint, an almost retro fantasy. It was a Romantic utopia, in which the tensions of democratic life are not resolved but avoided. For a time, my politics were similar. We all, I think, go through these periods. Some of us never exit them, holding to the strange belief that Ayn Rand is remotely sane through our entire adult lives. (T)he idealized world Ayn Rand has created to facilitate her wishful theorizing has no more logical connection to our real one than a world in which an author has imagined humanity ruled by intelligent cups of yogurt. This is most obviously revealed by the fact that in Ayn Rand’s world, a man who self-righteously instigates the collapse of society, thereby inevitably killing millions if not billions of people, is portrayed as a messiah figure rather than as a genocidal prick, which is what he’d be anywhere else. Ayn Rand is one of the most widely read philosophers of the twentieth century. … Academics have often dismissed her ideas as "pop" philosophy. As a best-selling novelist, a controversial, flamboyant polemicist, and a woman in a male dominated profession, Rand remained outside the academy throughout her life. Her works had inspired passionate responses that echo the uncompromising nature of her moral vision. In many cases, her audiences were either cultish in their devotion or savage in their attacks. The left was infuriated by her anticommunist, procapitalist politics, whereas the right was disgusted by her atheism and civil libertarianism. The rich see money as a positive tool that has the power to create freedom and opportunity for themselves and their families. Being wealthy gives them the option to live what author/philosopher Ayn Rand called “an unrestricted existence.” This means having the ability to do what they want, when they want, with whom they want, for as long as they want, without limitations. [M]ore conservative theorists are not discussed... Ayn Rand [doesn't] warrant a mention. Right-wing think tanks can have Rand (even if she had little use for them). In the academy, she is a nonperson. Her theories are works of fiction. Her works of fiction are theories, and bad ones at that. Should the Republicans actually win in 2012, we might need to study her in the academic world. It would be for the same reason we sometimes need to study creationism. Ayn Rand was smart yet bitter enough enough to wedge herself into an airtight corner of circular arguments and rewritten history. Her philosophical system was able to filter out any evidence or argument that might challenge or correct the system. It reached a halt-state. There was no way to get her out or reach in to her from the outside: her system is too ironclad. This page was last edited on 4 December 2018, at 11:18.